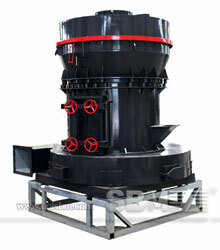 SBM MTM series iron ore grinding mill is also named MTM Medium Speed Trapezium Grinding Mill. There are now three models of MTM iron ore mills, which are MTM100, MTM130 and MTM160. SBM MTM series iron ore grinding mill is also named MTM Medium Speed Trapezium Grinding Mill. There are now three models of MTM iron ore mills, which are MTM100, MTM130 and MTM160. MTM iron ore mills have a typical capacity range of up to 22 tph. 3) Ideal for low capacity grinding applications, including iron ore, quartz sand, tungsten carbide, lime, and zinc in either wet or dry grinding configurations. SBM MTM iron ore grinding mill features much more advantages, such as bevel gear integral transmission, curved surface shovel with changeable edge, arc whirl tube, insolating type cyclone collector and inner light-oil lubrication system. With low energy consumption, the MTM ore mills will bring high efficiency production. "SBM has the people, technology, expertise, and product support services to help us maximize the efficiency of our grinding circuit."